Mercedes-Benz has unveiled the fourth generation C-Class Estate, which will be bigger, lighter and more luxurious than its predecessor. 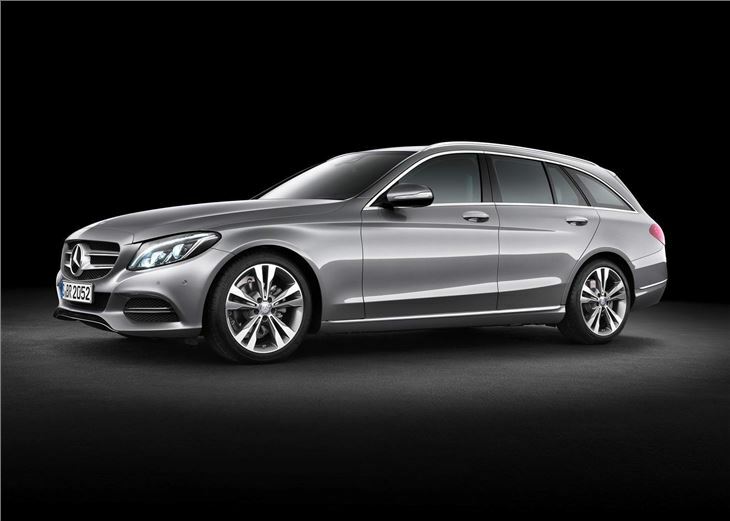 The 2014 C-Class Estate will go on sale in the UK in September and be offered with a new range of engines, including two hybrids. 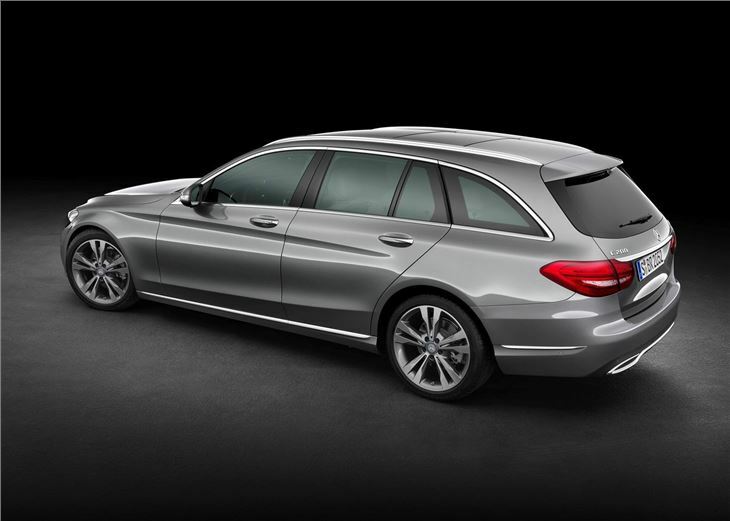 Headline changes to the C-Class Estate include a new wheelbase that’s 80‑millimetres longer than the previous model and 40 millimetres wider, resulting in 45 millimetres more legroom for rear passengers and an increase in load capacity. The load compartment behind the rear seats has increased by five litres to 490 litres, while overall volume has increased to 1510 litre. Seating configurations will be more practical than ever before, with the option of 40/20/40 split instead of the 60/40 split in the outgoing model. 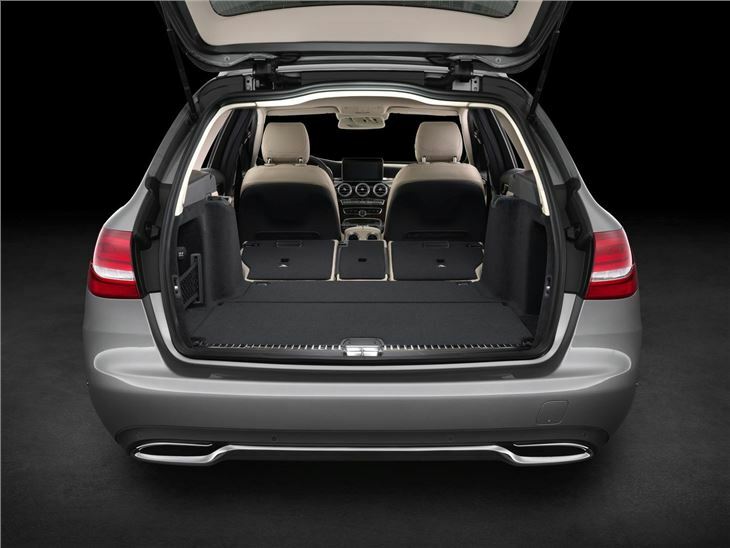 The backrests can also be unlocked and folded electronically, while the C-Class Estate's seating can be configuration as a five-seater, four-seater, three-seater or two-seater. Mercedes-Benz has improved the quality of the materials in the cabin and bolstered the interior's technology with a new head-up display on the windscreen, which will give a visual indication for the vehicle speed, signed speed limits and sat nav instructions. The interior controls will be accessible via a new touchpad built into the handrest, letting the driver make commands with a simple finger gesture. The driver will also be able to hook up their mobile phone via Bluetooth and surf the internet via the car’s infotainment system when stationary. 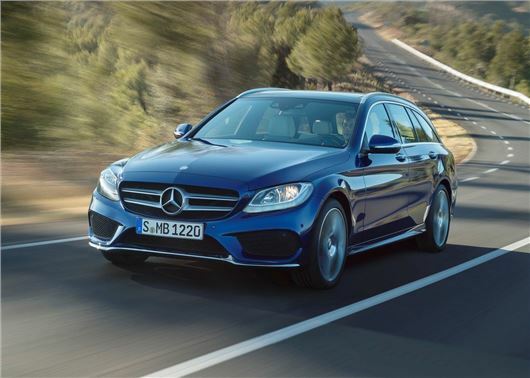 The C-Class Estate will be 65kg lighter than the old model and be offered with three four-cylinder petrol engines and one six‑cylinder with power outputs ranging from 156PS to 333PS. There will also be a four-cylinder C350 Hybrid, with plug-in technology and 275PS. The diesel models will be powered by two four-cylinder engines, with outputs ranging from 115PS to 204PS. Mercedes-Benz will also offer a diesel hybrid - the C300 BlueTEC, with 231PS. Fuel economy and emissions are still to be confirmed for the C-Class Estate, but industry insiders expect the diesel hybrid to return an impressive 74mpg. As well as a new range of engines, the C-Class Estate gets a choice of driving programmes, which tailor the engine and handling to suit the driver’s mood, with the options of Comfort, ECO, Sport and Sport+. Air suspension will be available as a cost options and the new C-Class will also be available with 4MATIC all-wheel drive.